Amanda and Dr. Viper decide to use their newly-gained magic dragon powers on the city, and Jake and Chance continue their attempts to score. It’ was a dark and rainy night in Megakat City. I was sneezing from all the icky stuff in the dirty rain, and Dr. Viper was (as always) fiddling with his chemicals on his lab table. He turned around to look at me and sighed. I went up to him and said, “When the rain clears, I’ll be better,” I said. Viper smiled with reassurance and continued his work. Chance and Jake were fixing Callie’s car again and Chance is trying to wrap Callie around his little finger. Chance grinned in a nerdy way as Callie talked about the SWAT Kats saving the day again. “So, Callie, got any plans for tonight?” Chance asked. “Sorry, Chance. I’m going out with Jake tonight,” Callie answered. “You’re WHAT? !” Chance said in shock. “ACHOOO!” I sneezed. Suddenly, fire and smoke came out and accidentally burned the tip of Viper’s tail. “Thanks for fixing my car. Toodles!” Callie said, and she drove away. “I’m going to get you for this, Jake!” Chance growled. “Oh ya. Sure. Uh huh,” Jake said sarcastically. “Viper, I’m a member of the Jurai family as well as the member on the Ting. I’m a kat-human that can turn into a dragon,” I explained. “Then what doesss Jurai mean?” he asked. “‘Jur’ means Great and ‘Ai’ means Raw Power,” I said. Chance turned the TV on and watched Scardy Kat. “Oh! Is big bad Chance mad?” Jake provoked. “Oh shudda up!” Chance snapped. “You know about this legend and these powers?” I asked. Dr. Viper went through his lab coat and pulled out a Dark Blue Ring. I gasped when I saw it and took out my Light Blue Ring. Jake began to swing on a rope, and Chance jumped a hurdle. The twosome made it to the finish line and checked the stop watch that was in Jake’s pocket. “2 minutes and 15 seconds,” Jake said, out of breath. “A new record!” Chance shouted and began to imitate a crowd of people in a ball park. Dr. Viper and I went out and sat on a log. It was dark and the sky was full of stars. I noticed that Dr. Viper’s eyes were shining in the moonlight. Suddenly, “Let’sss try our raw powersss on the cccity tomorrow,” Dr. Viper said with a smile. “Ya let’s,” I said and leaned against him. That’s when I fell asleep in Dr. Viper’s scaly lap. Chance and Jake got their “PJs” on. “Holy kats! What a day!” Chance said with a yawn. Jake just nodded and crawled into the bottom bunk bed. Jake suddenly remembered when Chance chased him around the hanger with a monkey wrench and laughed. Chance was fast asleep dreaming of Felina (because Jake had Callie) in his arms. Jake laughed when Chance snored and talked in his sleep. It was 10:30pm, and I snuggled next to Viper with satisfaction. “Yes, indeed,” I said, smiling back. We got dressed, got our rings on, got our hover boards, and made it to the edge of a cliff. The alarm rang, and Chance madly dashed to the receiver and picked it up. “Yes, Miss Briggs,” he said in his rough voice. “It’s Viper and Amanda. They seem to be…Oh my!” she said. “They seem to be doing what?” he asked. “Mmmagic!” Callie said in fright. “We’ll be there on the double!” Chance said and hung up the receiver. “Dr. Viper using magic? This I gotta see!” Jake said excitedly. And, Chance and Jake got suited up into T-Bone and Razor. scales, and a 40ft wing span. We both had horns, and they were as sharp as swords. I had 2 horns and Dr. Viper had (what else) 3. “Whoa! This is going to be harder than I thought,” Commander Feral said. Unknown to Feral that dragons had a hypnotic gaze called The Ring of Terror, and, once you’re free from the oily gaze, you discover you’re easy prey. Easily caught and easily slain. Feral gazed into Dr. Viper’s eyes and froze in horror. Felina yelled in her comlink to wake up her uncle out of the trance, but it was no use. Dr. Viper knocked Feral’s helicopter out of the sky with his powerful and deadly breath of fire and poison. 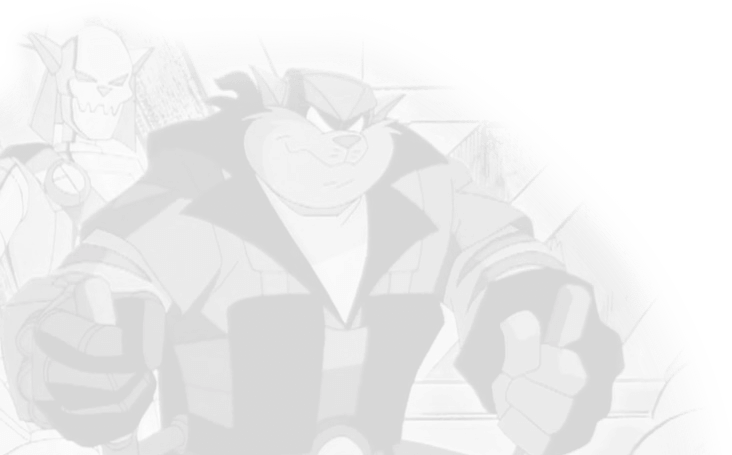 Suddenly, out of the clear blue, came the SWAT Kats in the Turbokat. “Holy kats! This is more worse than the time Viper turned into Viper-zilla!” T-Bone said to Razor. “You’ll never defeat usss!” Dr. Viper hissed. The missiles fried me and my lover, taking away 120 Hit Points from the both of us. Felina called the paramedics too and took her uncle to the hospital. “Finally, Megassswamp Cccity isss oursss!” he said. “The only thing that can stop us is the Excalibur!” I said. “The Excalibur huh?” Razor said. “Fascinating!” Razor remembered about a jewel encrusted sword on top of the Taunor Mountains. The Taunor Mountains were 10 miles away from The Desert of Shattered Hopes and The Crystal Towers, which were 3 miles from Megakat City. “The Excalibur most be their weakness. If we mark them with it, they’ll turn back to normal,” Razor said. “How do you know?” T-Bone asked. “I’ve read it in a book,” Razor said. “Then let’s go, sure shot!” T-Bone said. And, off they went to their destination with vigor, truth, and determination. “So, what’s next ?” I asked. “To recreate the viper mutagen, turn it into a gasss, and ssspread it all over the cccity,” he replied. “I don’t want to turn into a viper-kat-human!” I said. “Don’t worry, my sssweet love. I’ve created a ssspecial chemical that will shield usss,” he said, and he kissed me ever so gently on my lips. He held me very close and kissed my neck. T-Bone pulled and tugged on the sword in the stone, but it wouldn’t come out. “Allow me. If I can pull out the Dragon Sword, I can do this one,” Razor said. With a loud war cry, Razor yanked it out and fell backward. “Razor, are you ok?” T-Bone asked. “Oooh! Can someone get the license plate number from that truck?” he moaned. “Come on,” T-bone said, and they got back in the Turbokat. “When thisss cccity changesss into a wonderful ssswamp, I’m going to out you in a sssea of everlasssting pleasure,” Viper hissed. “Oooo Viper,” I said, and we kissed again. “It’s the SWAT Kats!” I shrieked. 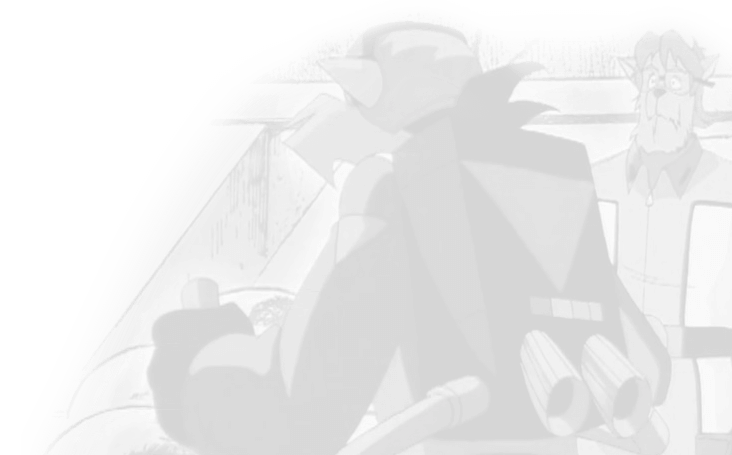 **The SWAT Kats have the Excalibur, ** I thought. I knew they were going to try and shoot us with it at us, and I was a little scared. “If that sssword hitsss usss, we’ll revert to our normal formsss,” Dr. Viper hissed. “We’re right on our targets,” T-Bone said. “Shooting the sword in 3, 2, and 1!” Razor said and pressed the button. The sword flew straight and true at me and Viper. Unknown to the SWAT Kats that a dragon’s blood can be poisonous, magical, or both. The sword found its mark and slashed our sides. Acid blood shot out of our veins and melted the pavement. We slowly shrank back to our normal forms and still bleeding in pain. “They’re bad, but I still think they need help,” Callie said and called the paramedics for help. The paramedics came as fast as lightning and took us to the hospital. I woke up to find me lying next to Dr. Viper, who was holding my white paw. I saw him smile pleasantly at me, and I smiled back. The same nightmare has been haunting Elrod three times. Will someone be there for him or will he have to face his fears alone?